You must try this! 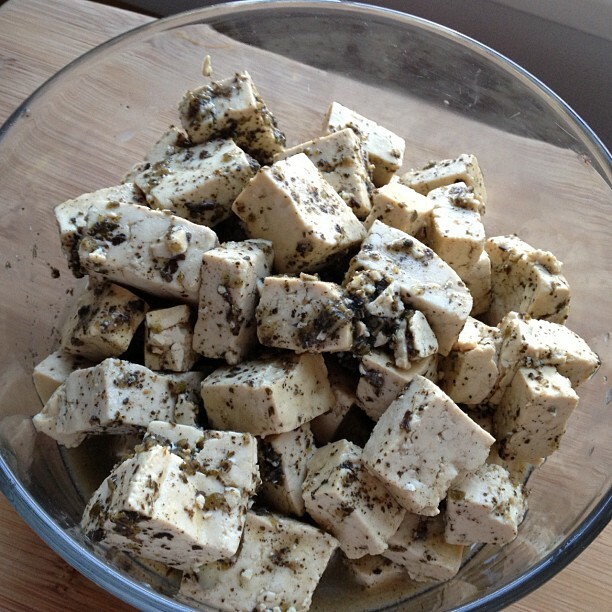 Herbed tofu feta that is super easy to make and you only need herbs, lemon juice, water and salt. So much easier than raw nut cheeses that require a blender or food processor (I still love them though). 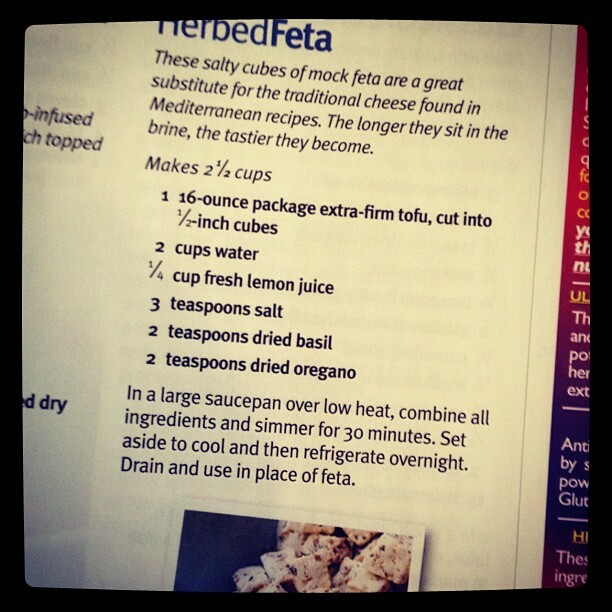 A small half hour on the stove and then an overnight in the fridge will leave you with the best mock feta around. Thank you to my friend Christine at Colorado Vegan for sharing this back in October on her site. I’ve kept this on my mind ever since and finally made it this week. In fact I’m finishing off the last few bites on my salad as I write this post. I think both Colorado Vegan and I wish we were the mad geniuses that came up with this one but alas the brilliance is from the May/June issue of VegNews. Which also inspired me to rifle through my partially read issue of this very issue. I was only 10 pages away from reading that recipe myself. Thank you for C.V. for putting it on the radar and subsequently in my belly.